Festivals are a powerful way of engaging the public with health, the human condition and science. For visitors, they get an opportunity to come face-to-face with science and research on their own terms, increasing their interest and confidence. 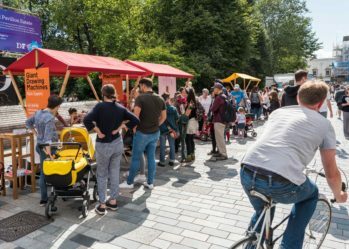 From busking and science cafes to family shows and workshops, the diversity of formats available is a strength that makes the UK a global leader in festival programming. However, despite the desire to welcome new audiences, this has had varying success and is something that science festival organisers are constantly trying to improve. 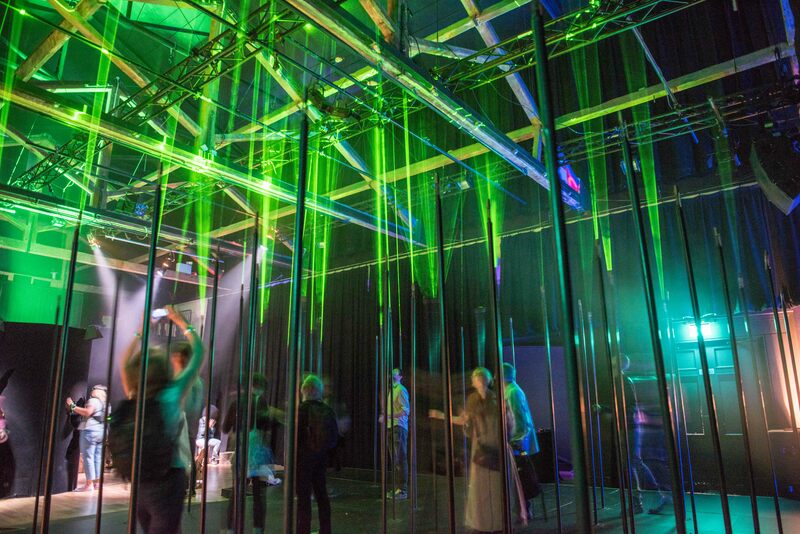 The UK Science Festivals Network (UKSFN), supported by conversations with staff at The Wellcome Trust, believe that user-centred design could allow festival organisers and programmers to go one step further and really embed audiences at the heart of their events. The science festival community often stems from the science communication sector, which is driven by engaging the public with scientific research. Scientific research forms the starting point for how science festivals are programmed; focusing on cutting-edge research and new technologies, but often reaching audiences who are already engaged in science. There is also a strong drive within the science festival community to reach under-served audiences, particularly those with ‘low science capital’. However, as festival organisers’ time is precious, professional development can take a backseat against more pressing demands – like securing event funding, negotiating with partners or organising staff and volunteers. If we’re going to create more user-centred events, we need to find a sustainable way of stepping back, so we can understand more about our audience’s motivations and make-up. Funding and limited resources are often a barrier to effect change – so the UKSFN are partnering with the Design Council to work with festivals to develop their skills in user-centred design, which they can embed into their practice going forward. Design Council is a pioneer of user-centred research and design practices. They have a strong track record in delivering innovation programmes to support organisations in the public, third and private sectors, enabling them to unlock new value and deliver transformational results that boost productivity and competitiveness, which in turn improves lives. Design Council has developed a Framework for Innovation called the Double Diamond, which is based on their track record in delivering support programmes at scale across the public and private sectors over a 20-year period. By helping science festivals develop the skills needed to create user-centred programming, we will hopefully see science festivals becoming more effective at engaging the audiences they want to reach. The Science Festival community are open to new ways of working and new formats for engagement – many of which take methodologies from the arts and other creative industries when curating their festival. Given the resource constraints within the festival community, we are excited to be supported by the Wellcome Trust to pilot a new approach to working; supporting festivals to experiment, learn, build capacity and add new methodologies to their festival programming toolbox.